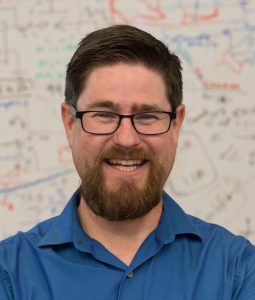 Dr. Tay Netoff is an Associate Professor in the department of Biomedical Engineering at the University of Minnesota and the Director of the Center for Neuroengineering. He did is undergraduate work at Berkeley with Walter Freeman, where he developed his interest in epilepsy. He then went to graduate school in Neuroscience at George Washington University, advised by Steven Schiff. He then did a post-doc at Boston University with Nancy Kopell and John White. His research has studied mechanisms of epilepsy using a combination of computational models and electrophysiology. More recently, the Netoff lab has focused on optimization of therapies. Deep brain stimulation has been shown to be an effective therapy for treatment of Parkinson’s disease and Epilepsy. However, there remains a large degree of variability in responsiveness to the therapy. Neural stimulators have many parameters that may be tuned to improve performance, but it is difficult for a clinician to tune them manually given the large parameter space and nonlinear response to parameter changes. Next generation devices can allow for stimulation based on state of the patient, adding more parameters to the therapy and making optimization further exasperating the difficulty of tuning. In this talk I will present approaches my lab has been developing to optimize therapies to maximize performance of deep brain stimulation. We are developing tools that can facilitate mapping patient response to stimulation settings to help guide a clinician’s selection of stimulation parameters for testing, as well as learning algorithms that tune parameters of responsive neural stimulators online.